to the borough’s Lions Club members and borough residents. About two weeks ago, members of the Lions Club presented Police Chief Jerry Vasto with a check for $6,285 for the department’s “In Vest A Cop’’ program. Helen Marchetti and Beverly Glynn, members of the club, presented the check to Vasto at the Borough Council meeting. The club raised the money by sending out letters to its residents for donations for the program, Marchetti said. “We had a good response, our community was very generous,” she said. 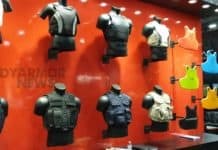 The bulletproof vests are not cheap, Vasto said. After thanking the members for their generous donation, he said, the vests cost between $800, and $1,000, and have to be replaced every five years. 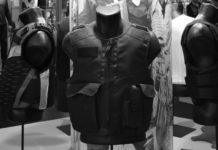 After the meeting, Vasto said one of the 13 vest was expected to be replaced the day after the Dec. 1 meeting.